Diarrhea can have a variety of causes including food sensitivities, gut infections (bad bacteria), emotional stress, as a side effect of medications. 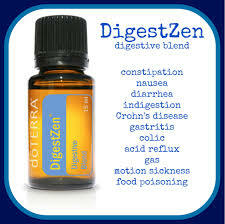 Diarrhea is a natural reaction to toxins that need to be removed from the digestive system. Chronic diarrhea is problematic and can lead to dehydration and nutrient deficiencies. The good news is there are several steps you can take to bulk up your stool. Water – Hydration is critical, try to drink 6-8 glasses of water and some coconut water every day. 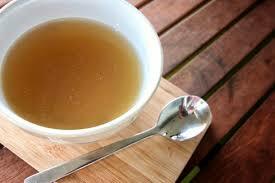 Homemade bone broth – Bone broth will provide nutrition to support the repair of the lining of your gut and hydration. Use organic bones. Chop an onion, a couple of carrots, ribs of celery, mixed herbs, a bay leaf, pinch of black pepper and a tablespoon of apple cider vinegar. Cover with water, bring to the boil and simmer for 12-24 hours. It can be kept in the fridge for 5 days or in the freezer. 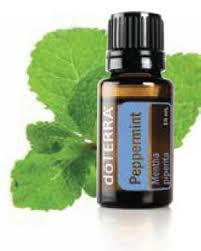 Drink a cup or use in cooking every day. Fresh green smoothie – Vegetables and fruits can help provide fibre to bind your stool. Flaxseed Oil – Has been shown to reduce the duration of diarrhea. Use to make a salad dressing. Do not heat. Dairy – Processed dairy can be hard to digest and can make diarrhea worse. Gluten – Gluten is a food that can irritate the lining of your gut that can cause diarrhea. It’s hidden in lots of products so read your labels carefully. Processed Fats and oils – “bad” fats such as those used in processed foods can upset your sensitive stomach and make the diarrhea return. Avoid all processed foods. Sugar – Bacteria love to eat sugar and sugar reduces immune system functioning. An imbalance of good and bad bacteria can cause diarrhea. Caffeine – Caffeine can stimulate the digestive tract increasing diarrhea. This means chocolate as well as tea and coffee and other caffeinated drinks. 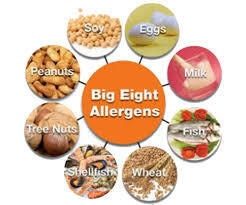 Any potential intolerance – Diarrhea can result from food intolerances, common culprits include gluten, corn, soy, eggs, nuts, yeast, and dairy. Top Supplements – Always work with a Registered Nutritional Therpaist when adding in supplements. Probiotics – Probiotics help fight infection and can help re-colonize the gut with healthy bacteria. Work with a Nutritional Therapist so you can dose gradually so as not to get a “die off reaction” that may exasperate symptoms. Digestive Enzymes – These enzymes will help with nutrient absorption. Glutamine powder – Glutamine is an amino acid that helps repair the digestive tract, especially important for people with chronic diarrhea. This amino acid can be excitatory. A nutritional therapist will know how to dose correctly. Don’t use if you have had cancer. Aloe Vera Juice – Aloe is healing to the digestive system. Raw Sprouted Fiber from Flax and Chia seeds. Soluble fiber can help thicken stools and reduce the frequency of diarrhea. E.g. Avocado, Brussels sprouts, sweet potato – no skin, asparagus, broccoli, pear, gluten free oats, beans, lentils, apricot, nectarine, peach, peas, carrot, potato, apple, banana, ground flax. Or supplement with psyllium. 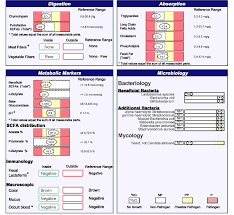 I use functional testing to find out exactly whats going on in your digestive system. Stool analysis looks at your digestive enzymes, how well you digest carbohydrates, proteins and fats, inflammatory gut markers, “good” bacteria colonies, “bad” bacterias, yeasts (it’s not just candida that causes trouble in your gut!) and parasites. when we know whats going on it’s easier and quicker to treat. No guess work going on, just good hard facts.